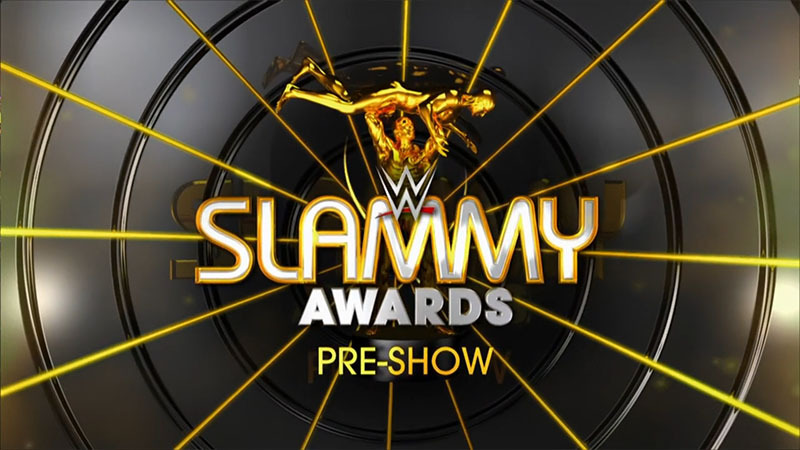 Renee Young, Corey Graves, and Booker T introduce the Slammy Awards, Eden Stiles, and the first award. Paul Heyman accepts the award for Rivalry of the Year. Corey Graves announces the winner and accepts the awards on Stone Cold’s behalf. Graves and Booker T both think that Sasha Banks will win Diva of the Year. Renee introduces the next Slammy. The Miz accepts the Slammy, Sandow mimics him and takes the Slammy from him. Booker T accepts the award on Reigns’ behalf.